Twitter Chats are weekly, bi-weekly or monthly conversations on Twitter that are orchestrated by a hashtag. If you've ever attended a live event that used a hashtag to organize all of the Tweets about that event, this is sort of the same thing. Except, the event is the hashtag. Twitter Chats are great for getting new followers, in fact, they're one of the best ways to do it. They're also great for finding new people to follow with similar interests. Whether you're new or old to Twitter, if you start joining the right Tweet Chats, you'll begin to really adore the different Twitter Communities you're into. 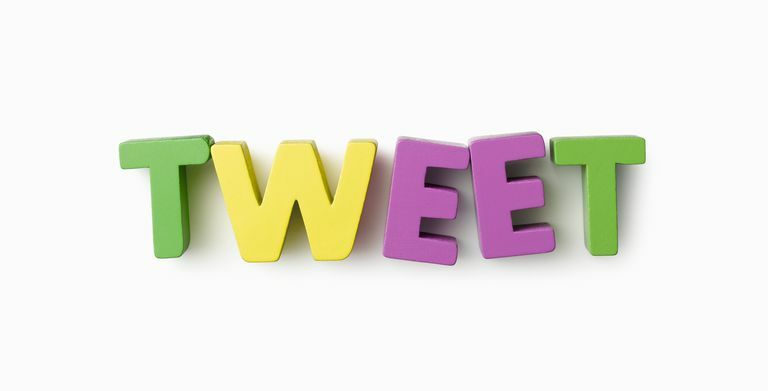 Here's how to Twitter Chat like the best of 'em! If you Google the words "Twitter Chats," you probably won't have any trouble at all finding different lists. For example, there are lists for days of the week, a Twitter hashtag directory, and a Twitter calendar of events. You can try to keep up using Twitter and its search function, or your own Twitter app, but I'd recommend using a chat platform like Twubs or TweetChat that apprehend the hashtag to the end of all your posts, making participation nice and easy! Every Twitter Chat has their own day and time per week or month. Once the chat starts, you can chime in and tell people who you are and what your specific interest is in the chat topic. For example, in #blogchat, I could say that my name is Amanda and I blog for Lifewire about Twitter. Now imagine the questions being much more interesting than shoes and thus, your answers being much more interesting. A big part of Twitter Chats is spreading the love. So when someone posts an answer to a question that you find interesting or quotable, go ahead and retweet them. Your feed during a chat will probably be half answers and half retweets. If you're using Tweet Chats to get more Twitter followers, this is one great way to get yourself in front of the most influential people in the chat. After the chat, follow the people in the chat that you found to be interesting. I've found some of my favorite people to follow through Tweet Chats because they're not using Twitter as a soapbox but understand how meaningful it is as a way to get to know new people. As someone who works from home, I like getting to know new people whenever I can! Many Tweet Chats will put up their transcripts or a recap of each chat. For example, #journchat (weekly, Mon 7-10pm CST), moderated by @prsarahevans, is a very big chat with lots of people, so she puts together a list of the most influential Tweets from the chat each week. We use a Q1/A1 format for chats. For each question, the FTC will send out a retweet or modified tweet with the question and Twitter handle of the original question. Unless posted otherwise, chats are limited to 60 minutes. We'll answer questions from as many different participants as possible before going back to someone who has already asked a question. Remember that we cannot discuss non-public information, but will try to answer as many questions from participants as possible in the time allowed. Official transcripts posted to FTC.gov will have Twitter handles redacted. For more details about how we maintain records including Twitter handles, please read our Twitter Privacy Impact Assessment. @MackCollier, moderator of #blogchat explains his structure: "The format of #blogchat is very simple: We start with a general blogging topic, and the conversation flows from there. I know a lot of Twitter chats have a very rigid structure, only allowing a few minutes per question, but I wanted to encourage a free-flowing discussion with #blogchat. I want #blogchat to be like a coffeehouse where everyone is discussing the same general topic, but each table is talking about a slightly different take on that topic." Most Tweet Chat moderators ask that you don't self-promote your own work unless it's relevant to the group discussion. Other than that, enjoy! What's the Difference Between a Manual Retweet and a Regular Retweet?